Killington Resort Mountain Ambassadors can help you find everything from the best slopes to the best restaurants. Look for them in red jackets emblazoned with the international information sign. 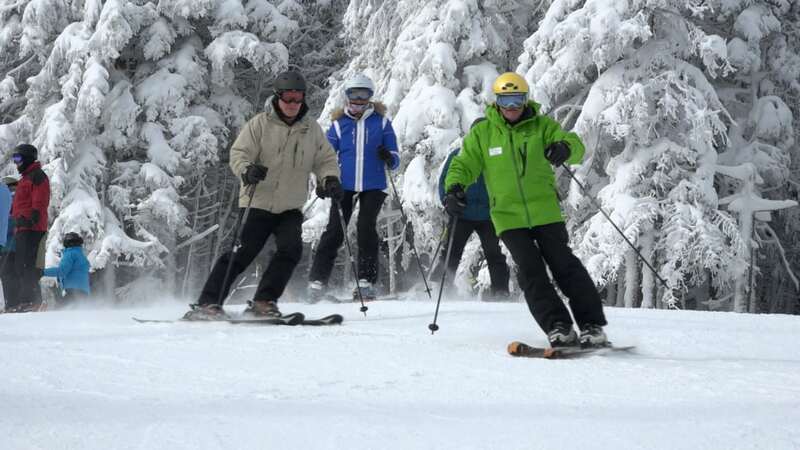 The Ambassador team is also on hand for Meet the Mountains Tours taking place daily at 10:00 and 11:00 a.m. Meet your friendly tour guide in the courtyard at Snowshed Base Lodge and hit the slopes for a 75-90 minute tour of Killington Resort. Appropriate for experienced novice and higher ability levels (blue square terrain may be included). Killington Resort also offers a Mountain Orientation from 9:00 a.m. to 1:00 p.m. daily at the large trail guide sign at the top of the K-1 Express Gondola. Ask questions, find out what’s going on and more.